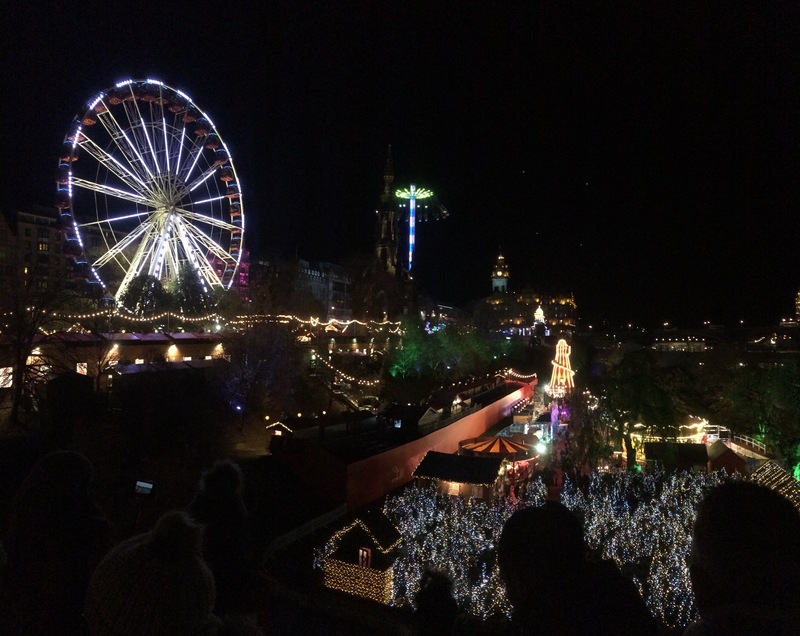 This weekend saw the launch of Edinburgh’s Christmas season. It is a magical time and there is much to enjoy. I’ll be posting a few shots of the various treats available to us in coming posts. 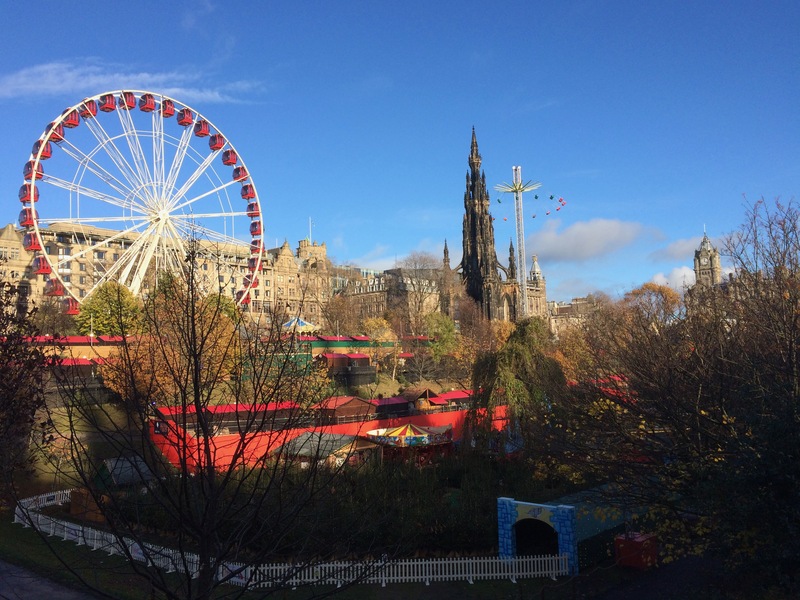 For starters, here is a view of the Princes Street Gardens, where you can visit the European market and Santa Land. As you can see, we had glorious weather on Saturday.